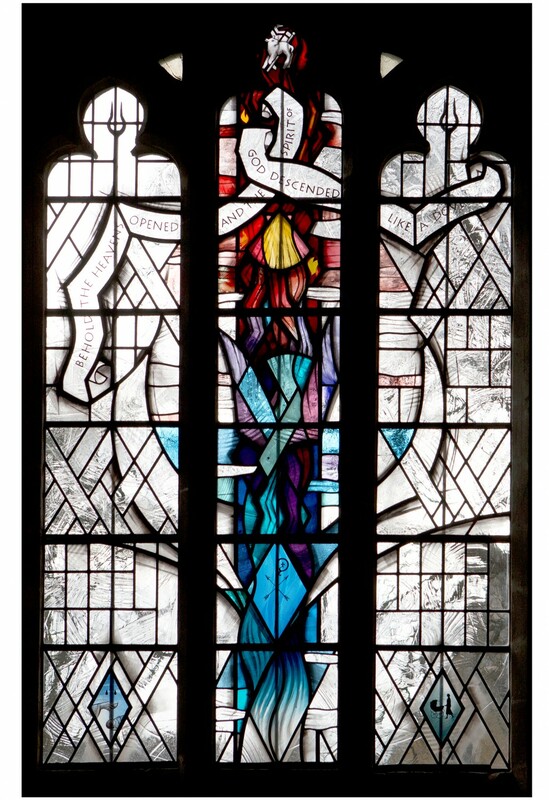 Here is the new stained glass window at St. Giles Church, Medbourne on the theme of Baptism. The window has been designed to harmonise with the other new window in church. Made with the traditional materials of hand made antique glass and lead, the new stained glass brings light, colour and dynamism to the interior of this lovely village church.